Like most parents who have a child with ASD, I had read all the books I could find and each of them said “use their obsession” but no one explained what this meant. What did using an obsession mean? 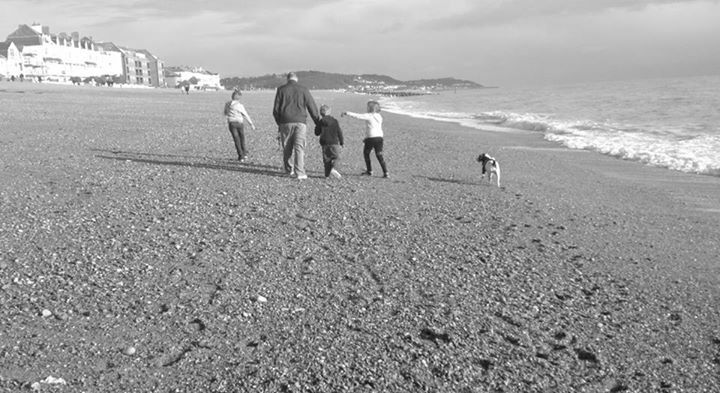 As a tired mum, sleep deprived and miles away from family, it was a difficult time to think clearly. 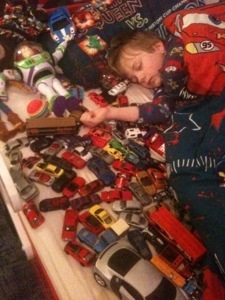 My gorgeous eldest son has been obsessed with cars of all descriptions since the day he was first handed one. He lined the cars up, he slept with over 200 in his bed, he had photos of cars on a keyring to occupy him as we tried to go shopping; his idea of heaven was a day in the local car dealer and then coming home with the car brochures. He could name any make/model of car from such an early age. But again, we didn’t know how to tap into this obsession to “use” it. Then one day, it hit me. Using an obsession – how did we do it? We were trying to teach him to count and to be honest, getting him engaged with this activity was a challenge to say the least. In fact, at times I thought climbing Mount Everest seemed like an easier option. 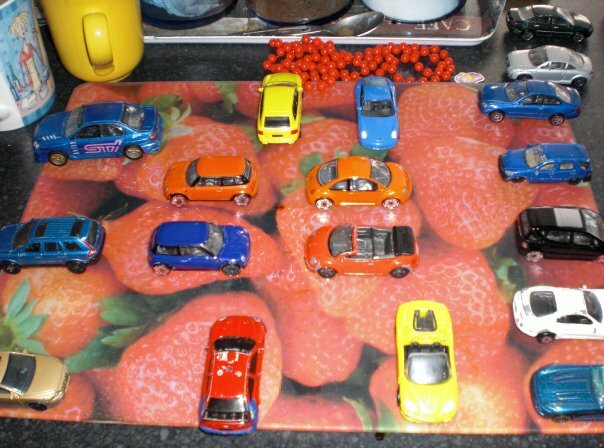 So I (to his utter horror) took his cars off the table and started counting them as I placed them back. Once he realised that he got them back, he gave me that look that says “oh bless her, she needs some help” and allowed me to carry on. Hearing him say “2” and then “4” as we put them back alternately was just fantastic. One of those moments when you want to run and around and cheer loudly but have to carry on as those this is an everyday event. Don’t you love/hate those moments? When they try new food or do something as routine without prompting? Next we used his obsession to learn some spellings. We obviously had to use words he liked but we alternated that with boring words like “the” “and” “he” and “no”. We’ve used his cars to learn colours, shapes and now I eventually get what they mean by “use their obsession”. It was quite simple but so frustrating to keep reading this advice without any real examples. 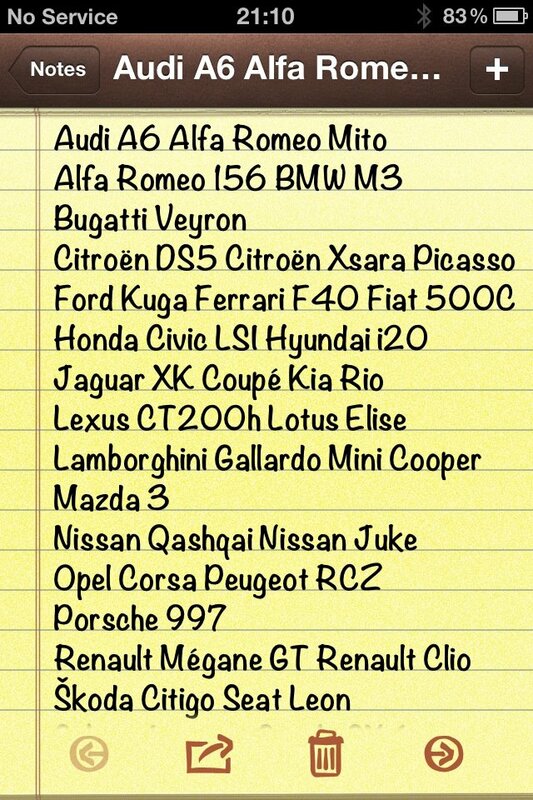 We progressed quickly and this was his birthday list – typed without any assistance – for his 8th birthday. As a mum who loves lists, this is my idea of total bliss! He only got a few matchbox versions of these – but look at that spelling, isn’t it amazing for any 7 yr old? We got here by using his obsession – how did you use your child’s? Next story Me Time? Where do you go? Previous story Baker Small (BS), what were you thinking? My son’s special interests have changed over the years. At primary school we had a breakthrough in year 5 as teachers found that by rewarding him if he completed tasks he was allowed to spend 15 minutes on a computer by himself looking up facts about space (or whatever was his current thing) he achieved more during the lessons. It requires a little flexibility on the part of the school but can have great benefits all round. He engaged more and was less stressed as a result of some small simple changes. We use Thomas the Tank Engine to teach colours and counting. It’s great when they finally get what we’re trying to teach them, just have to find the right way to do it.